Friday Night shenanigans once again resume in the Canal Bar this coming weekend. 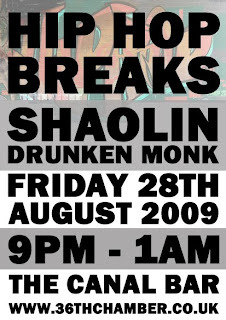 The Drunken Monk will be delving into his collection to draw some dope hip hop beats and possibly a few breakz chucked in there too. Might even have a special guest coming down as well, so watch this space.